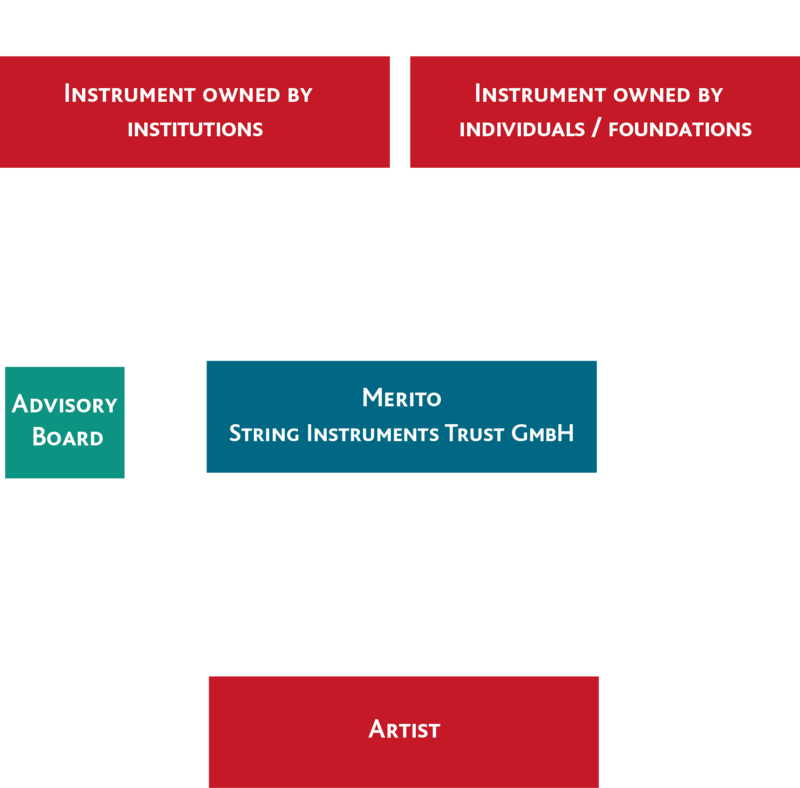 To unite the finest instruments with outstanding artists and music-loving investors. “Music is the language of the soul. it inspires our thoughts and gives voice to our emotions. To support exceptional talent is our top priority. We assist investors with the purchase and administration of the instruments and with the selection and support of the artists. Museums, foundations, financial institutions, companies and private collectors. We constantly monitor price developments and analyse the market. We support investors with the selection and purchase of the instruments as well as with their documentation and provenance. We suggest artists and help with their selection. After the purchase we regularly inform the investor about the condition of the instrument as well as the artistic development of the musician. We undertake the management of the instrument: maintenance, insurance and valuation. The investor is the owner of the instrument. He has a real asset which has the potential of increasing in value.  Investment driven only by passion? The music-loving investor not only purchases the instrument out of passion for art, but also as a real asset. Merito SIT guarantees professional support during the purchase and provides subsequent day to day administration. The investor has the chance to witness and accompany the development of the artist firsthand. As a whole the market consists of about 10.000 instruments (violins, violas and cellos) from the 17th to the 19th century.  The sale of the instruments mainly takes place through private trading. Strong demand and a very limited supply result in the prices being pushed up. The price of the instruments depends heavily on the identity of the violin maker, the existence of a certificate of authenticity and the physical condition of the instrument. The sound and tone quality are assessed by renowned musicians. Further pricing points are provenance, the owner, as well as biographies and proof of it being part of a collection. The history of violin making started with a few pioneering families in Northern Italy in the 16th century. 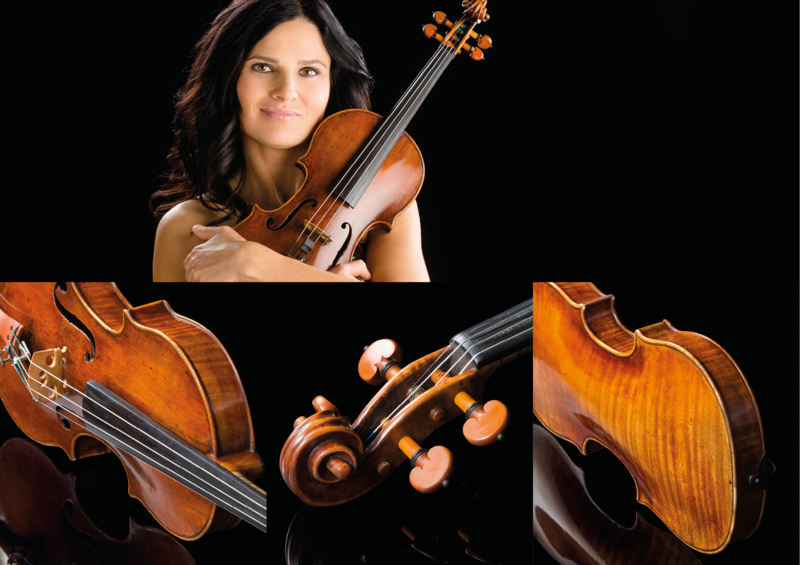 The most important center of violin making throughout the centuries was Cremona. There you would find the workshops of the great violin making families such as Amati, Guarneri and Stradivari. The instruments of these luthiers were the models for all violin makers in Europe. Nearly all the European courts provided their musicians with instruments from the Italian school. France took over the main role of violin making in the late 18th century. Excellent artists are in need of magnificent string instruments. Only the use of first class instruments allows musicians to develop their full potential. Antoine Lederlin, Violoncello (Matteo Goffriller, 1659 Brixen-1742 Venice). Born in France in 1975 and completed his studies at the Conservatoire National Supérieur de Paris in the class of Roland Pidoux. 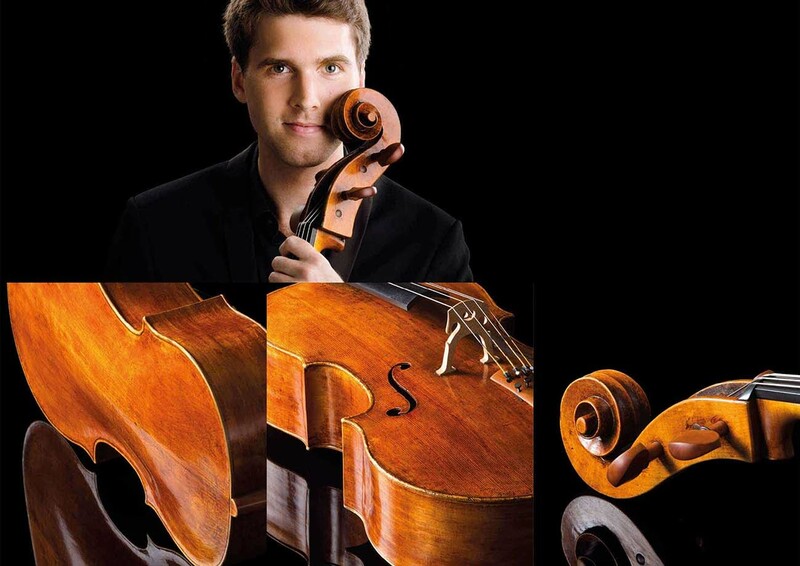 He became solo cello at the Orchestre Philharmonique de Radio France at the age of 19 and is currently solo cellist at the Sinfonieorchester Basel. In 2006 he became a member of the Belcea Quartet. Since 2017 he plays an exceptional violoncello by Matteo Goffriller, dated 1722. 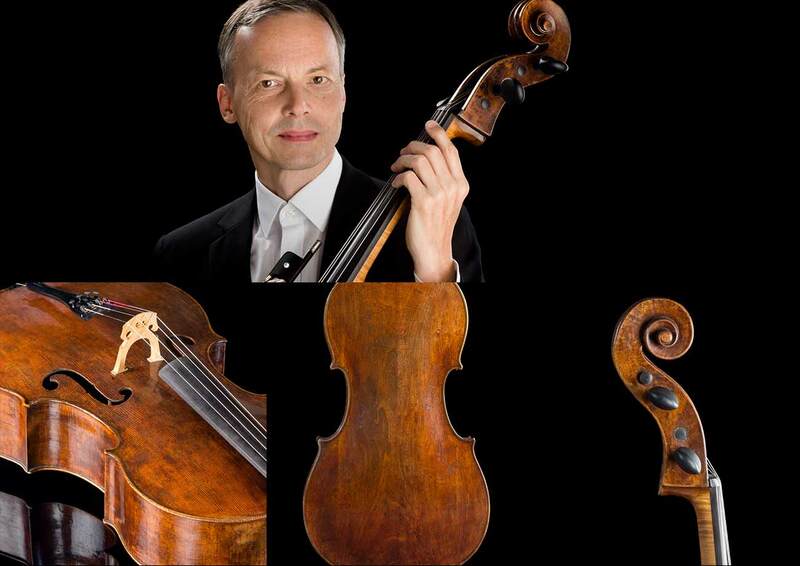 Pierre Fournier played it from c. 1950 to 1970 and Yo-Yo Ma from c. 1970 to 1990 and Valentin Erben since 2017. Matteo Goffriller was a Venetian luthier, famous for the excellent quality of his cellos. It is believed that he started out working in the workshops of Carlo Bergonzi and Antonio Stradivari before striking out on his own. Niccolò Paganini used one of his violins. Raphael Flieder, Violoncello (Giovanni und Francesco Grancino 1637-1709 Mailand/ca.1670-ca.1746 Mailand). Born in 1962 in Vienna, Raphael Flieder was solo cellist of the Tonkunstler Orchestra from 1985 to 1990. In 1994 he became a member of the Vienna Philharmonic Orchestra and has been a co-principal cellist there since 1997. He also plays numerous concerts both as a soloist and as part of a chamber music ensemble. 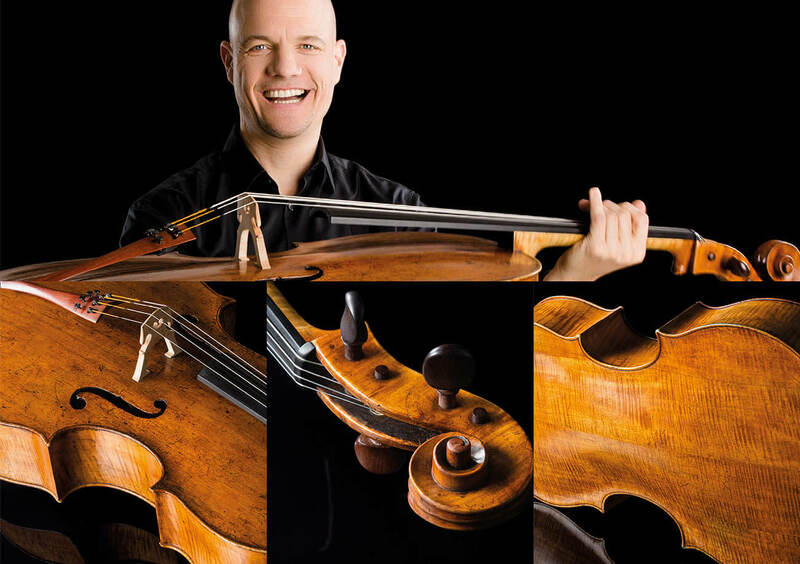 He plays an exceptional violoncello from the Grancino brothers, made around 1680. Previous players were Maurice Maréchal from 1949 to 1964, Claude Starck from 1964 to around 1982 and Angelica May from 1982 to 2011. Giovanni and Francesco Grancino originated from a Milanese violin making family and worked together. Their early instruments were influenced by Niccolò Amati from Cremona and their later ones by Maestro Antonio Stradivari. Cristina Prats-Costa, Violin (Jean-Baptiste Vuillaume, 1798 Mirecourt-1875 Paris). Born in 1986 in Ibiza, she studied at the Conservatorio Superior de Música del Liceu in Barcelona followed by the Guildhall School of Music and Drama and the Royal Academy of Music in London. She was a member of several orchestras and has been the first violin in the Alauda Quartet since its establishment in 2011. She plays a remarkable violin from Jean-Baptiste Vuillaume dated 1861. The French luthier was one of the best of the 19th century and a central personality in violin making. His role models were the Cremonese masters whose instruments he collected. He took some of them apart for study to make sure he reached their standard. Piotr Skweres, Violoncello (Gennaro Gagliano, 1700-1770 Neapel). Born in Warsaw in 1980, he studied cello with Valentin Erben and composition with Ivan Eröd at the Universität für Musik und Darstellende Kunst Wien. As a member of the Apollon Musagète Quartet he cooperates not only with orchestras like the BBC Symphony Orchestra but also with well-known artists like Krzysztof Penderecki or Angelika Kirchschlager. Beside different CD recordings for renowned labels (Decca, DG) original compositions were published, too. He plays an exceptional violoncello from Gennaro Gagliano, dated 1741. It was played by André Navarra from around 1950 to 1988 and Roland Pidoux from about 1988 to 2014. The Napolese violin maker was born into a large and famous violin making family. 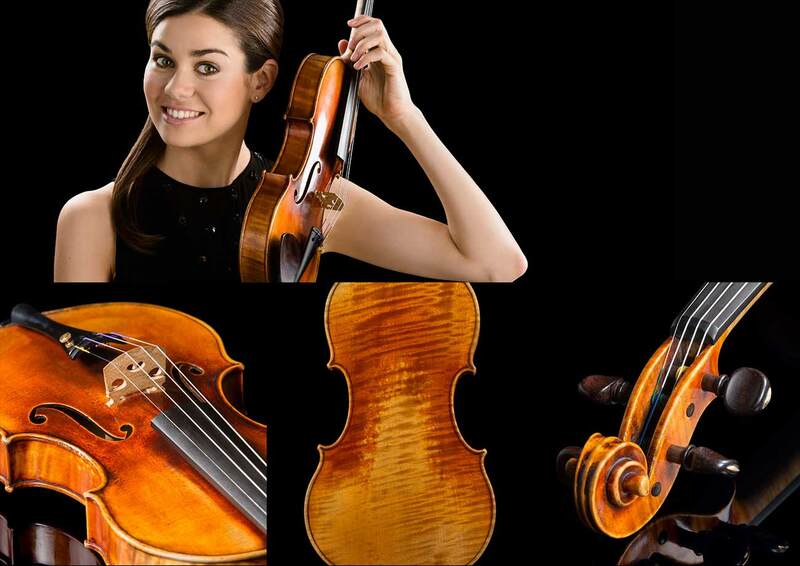 The foundation for their craftsmanship was laid in the workshops of the families Amati und Stradivari. Gennaro Gagliano’s instruments were especially fine and he held a prominent position in his family. Philip Graham, Violoncello (Andrea Grancino, 1626-1698 Milan). Born 1990 in Bonn. 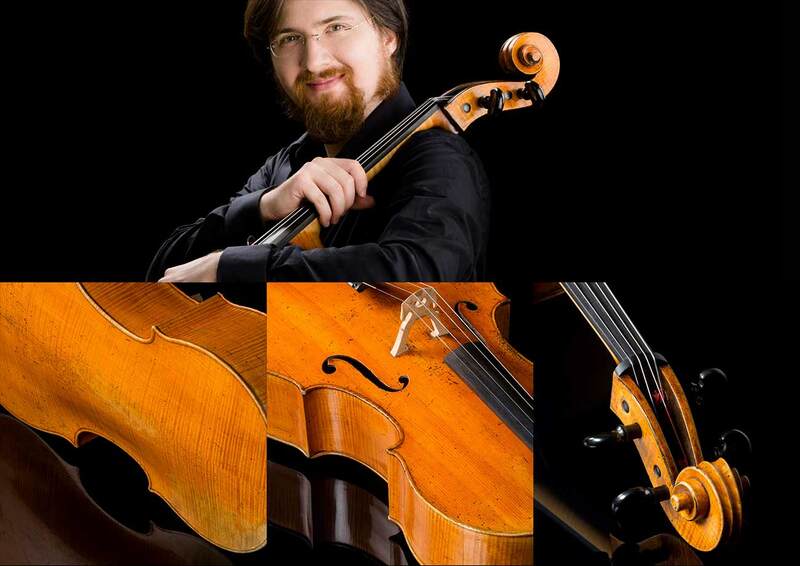 Philip Graham studied cello at the Folkwang Universität der Künste in Essen and at the University of arts Mozarteum in Salzburg with Prof. Clemens Hagen, the cellist of the Hagen Quartet. Besides his soloistic appearances Philip considers gathering experience as a chamber musician as one of the most important aspects of being a cellist. His special concern is the contemporary music and the chamber music. He received different scholarships and is winner of many international competitions . Since 2015 he is member of the “Notos Quartett“, an internationally awarded piano quartet. He plays a Violoncello by Giovanni Battista Grancino, c. 1700, whose father was one of the first luthiers in Milan. His early instruments were influenced by Niccolò Amati and the late ones by Antonio Stradivari. Between 2000 and 2016 the cello was played by Alain Meunier. Eckart Runge, Violoncello (Antonio and Hieronymus Amati, Cremona c.1555- c.1640 and c.1556-1630). Born in Heidelberg in 1967, Eckart Runge has played the cello in the Artemis Quartet since it was established in 1989, and he performs with the quartet in concerts around the world. Prizes won in competitions such as the Deutscher Musikwettbewerb, Premio Stradivari Cremona and Concours de Genève laid the foundations for his work as a soloist. His particular passion as an artist is transgressing the boundaries of classic and jazz, tango, rock and film music, which has been pursued by him since 1996 in his duo Runge&Ammon in order to reach an even wider audience. He is Professor at Berlin University of the Arts and at the Chapelle de la Reine Elisabeth in Brussels. Eckart Runge plays one of the rare cellos made by the brothers Hieronymus and Antonio Amati from Cremona, dated 1595. The instrument was previously played by Thomas Demenga. 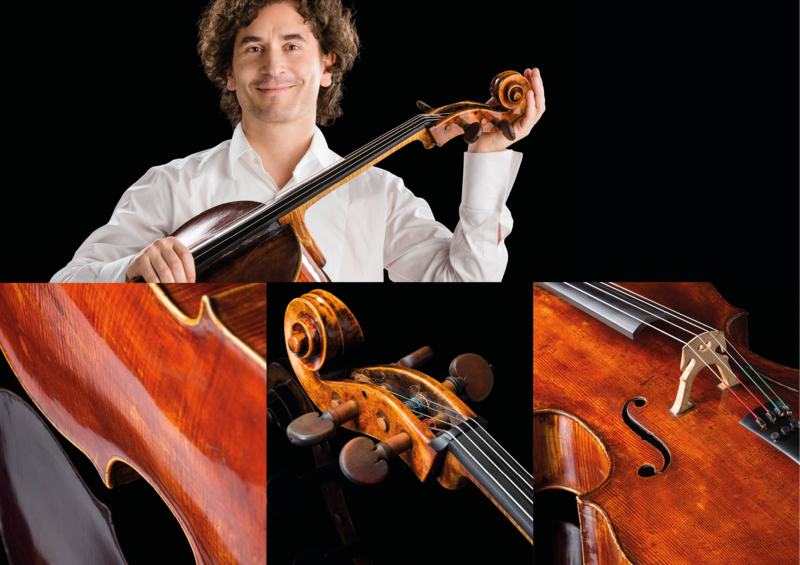 The Amati brothers, whose cellos are regarded as especially sustaining with a beautiful sound, are prominent members of the famous Amati family, founders of the great Cremonese school of violin making. Both Antonio Stradivari and Andrea Guarneri were among the first pupils of Nicolo Amati, son of Hieronymus Amati. Corina Belcea, Violin (Giovanni Battista Guadagnini, 1711 Cremona – 1786 Turin). Was born in Romania in 1975. She studied with Radu Bozgan and Stefan Gheorghiu. At the age of sixteen she moved to London to study at the Yehudi Menuhin School with Natalia Boyarskaya. She finished her studies at the Royal College of Music, where she founded the Belcea Quartet in 1994. Meanwhile she performs with the quartet and solo around the world. Since 2017 Corina Belcea plays a violin by Giovanni Battista Guadagnini, which was built in Milan in 1755. His violins were influenced by Antonio Stradivari like the instruments of his father Lorenzo.